Turmeric (Curcuma longa) is a popular Indian spice that has been used for centuries in herbal medicines for the treatment of a variety of ailments such as rheumatism, diabetic ulcers, anorexia, cough and sinusitis. Curcumin (diferuloylmethane) is the main curcuminoid present in turmeric and responsible for its yellow color. Curcumin has been shown to possess significant anti-inflammatory, anti-oxidant, anti-carcinogenic, anti-mutagenic, anti-coagulant and anti-infective effects. Curcumin has also been shown to have significant wound healing properties. 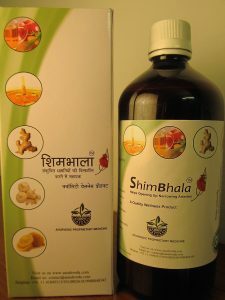 It acts on various stages of the natural wound healing process to hasten healing. This review summarizes and discusses recently published papers on the effects of curcumin on skin wound healing. The highlighted studies in the review provide evidence of the ability of curcumin to reduce the body’s natural response to cutaneous wounds such as inflammation and oxidation. The recent literature on the wound healing properties of curcumin also provides evidence for its ability to enhance granulation tissue formation, collagen deposition, tissue re-modeling and wound contraction. It has become evident that optimizing the topical application of curcumin through altering its formulation is essential to ensure the maximum therapeutical effects of curcumin on skin wounds.